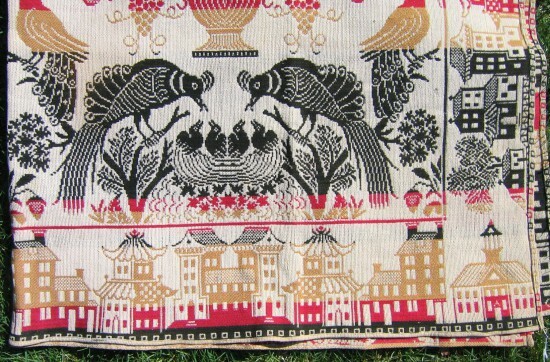 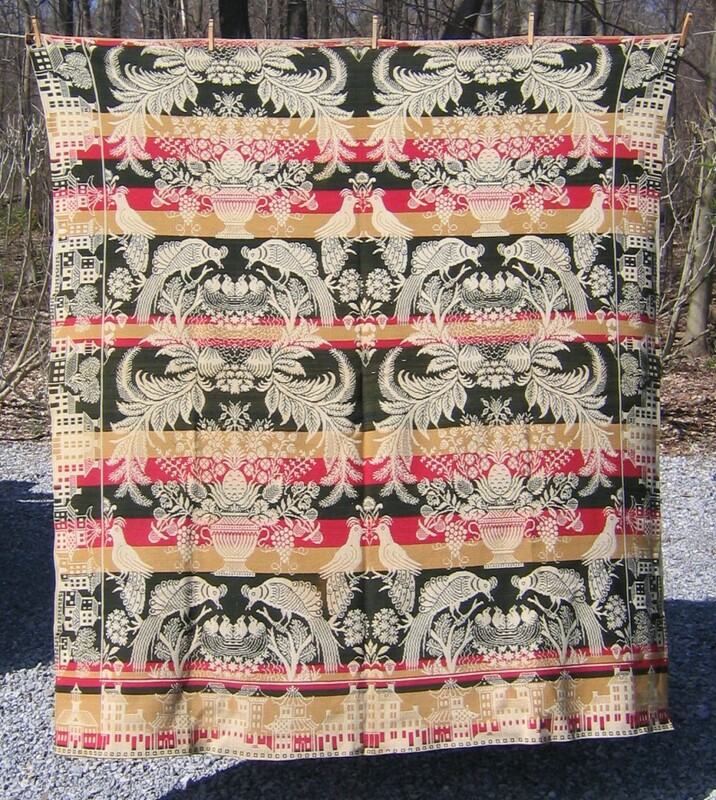 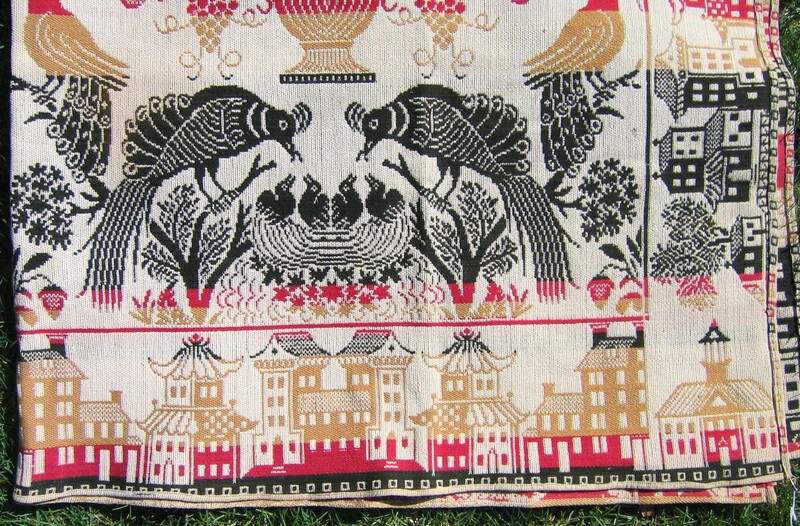 Three-color (red, yellow, and blue) Jacquard coverlet, with house border and birds, showing Chinese influence. Light weight. Thin on one edge. 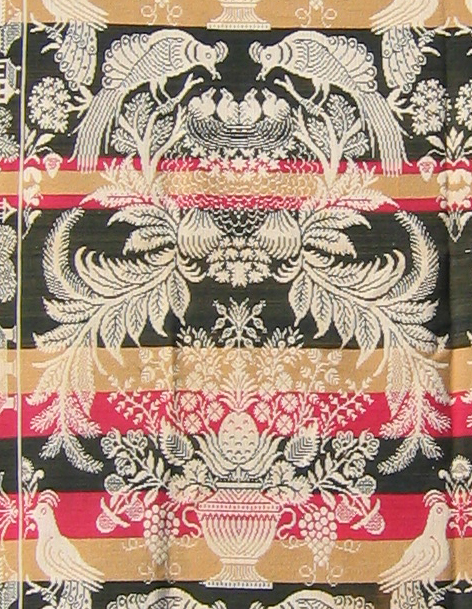 70×78 in.